Chrono bread is an outstanding domestic product and is a lot better than other baked goods. This primarily refers to the white wheat, which is full of calories, and small nutritive value. According to some research, in some parts of the world 100 kg of bread per capita is eaten per year, which is almost 3 times higher than in Europe. Mostly consumed is white flour, filled with various additives and salt. Besides having a high glycaemic value, it is not recommended for diabetics and people with hypertension. Below we will share with you some local recipes, stay with us and find out how to make the perfect chrono bread for the whole family. What is the composition of chrono bread? Domestic chrono bread is a very delicious that can improve the health of the body, but is also used for healthy weight loss. It is rich in dietary fibre, which further accelerates the bowel movement. Doctors recommend them to everyone, especially those who have problems with digestion and constipation. Composition of chrono bread depends primarily on flour and grains that are used to make it. It is unique because we take into account the different healthy seeds, which contribute to the specific taste and give it a better texture. 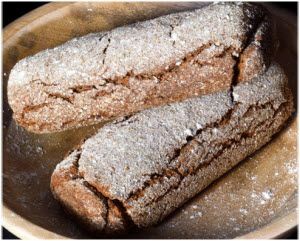 If you are using buckwheat flour to make this bread you must know that it has a lot of protein and fibre. It has a positive effect on the body because it contains vitamins C, B6 and Niacin. It is rich with minerals like magnesium, iron, manganese, boron and phosphorus. Buckwheat flour is different from others because it does not contain gluten. Buckwheat decreases the risk of gallstones, diabetes and atherosclerosis, protects the blood vessels and improves circulation. To create a chrono bread we often use medicinal spelt flour because it is an excellent source of fibre, carbohydrates, fats and proteins. This beneficial grains boost metabolism, promote better circulation, strengthen the immune system, and stimulate digestion, lower blood sugar and cholesterol balance. Make every day chrono bread with spelt flour and you will get a real small loaf of health. Barley and oat flour are a little bitterer and out of them the bread crumbles. Barley is rich with minerals- phosphorus, iron, potassium, zinc and selenium, and vitamins K, A, B and E, and is known as an excellent natural antioxidant. Barley eliminates constipation and indigestion, lowers cholesterol and protects the heart and blood vessels. Oat flour is very rich in dietary fibre, healthy fats and protein. It contains carbohydrates, but much less than other cereals. Using oat flour reduces the risk of diabetes and coronary disease. The best results are achieved if bread is baked by mixing several kinds of flour, and preferably those which we have mentioned here. Unlike ordinary wheat, chrono bread does not increase weight, so if you have a problem with weight replace ordinary white with it and the results will be visible in the short term. Healthy chrono bread is made from flour, cereals that have been proven to be healthy such as buckwheat, barley or spelt. In it are often added a variety of seeds and grains, rich in fibre, vitamins, proteins, minerals, fats and carbohydrates. On the other hand, regular white bread is a very poor food, contains mainly starch, and while in its composition does not contain minerals and vitamins. However, we see that in big supermarkets they are the first ones to disappear, which speaks about the consciousness of consumers. However, we should take everything with a grain of salt because the purchase price of chrono bread without gluten is small, nor is it available to everyone. Our recommendation is to make this healthy bread alone in your kitchen, as this is the best possible variant. It can be consumed by people who are not on the chrono diet, because it is not only for them, but for all who care about health and healthy living. Who should use this healthy product? Chrono bread can be eaten by everyone. It is recommended for children, pregnant women, athletes, and even the older population. It is a healthy alternative to regular white bread and rolls of wheat. People who otherwise habitually eat a lot of bread and pastry, always need to eat chrono bread during the day. Its taste is unique, but after one bite it will be hard to go back to the old one. The name of this bread is the word "chrono" and we will here clarify what such a diet means. Chrono nutrition is not an instantaneous diet, but a complete change of lifestyle and a commitment to healthy living is required. This idea came from France back in 1986, but the basic rule is: you do not have to worry about calories and the amount of food, but it is important to eat at a designated time and combine foods by certain rules. The chrono nutrition is an important gap between meals. Optimal for 5 hours, a minimum of 4 hours and a maximum of 6 h.
For breakfast almost everything is allowed. Fats, proteins and carbohydrates must be found on the menu. Wheat and corn must be avoided in the first meal. Flour such as buckwheat, spelt, oat or barley are preferred. The best choice is a domestic chrono bread which is essential in this kind of diet. Lunch is very important, must be stronger with protein and recommended is lamb, pork, veal, or without bread, with many salads. For dinner, the recommended is white meat or fish with salad and cheese. Sweets and fruits are eaten only in the afternoon, between lunch and dinner. In the morning, fruit and sweets should be avoided. It is recommended to also eat dark chocolate and dried fruit: plums and figs. As you can see this is a very specific diet and means in most cases, changes in general lifestyle. It is best to start with homemade chrono bread with few calories, and slowly switch to other foods, keeping a specific diet. But this is a big step forward. Supporters of this diet speak of the changes essential and important for this diet but also for the best results it is necessary to daily introduce physical activity and fitness, as well as proper input the fluids in the body. With a little good will and perseverance, you can quickly align with this arrangement, especially when you realize how well these changes affect your body and health in general. Here you can read a few recipes for making delicious chrono bread and decide for yourself who you like and bake! 900 ml of lukewarm water. All the ingredients combine and knead well. The resulting mixture wrap in a tea towel and leave it at least an hour to rest. Heat the oven, put the baking paper in the pan. Bake at 250 degrees for an hour and your healthiest chrono bread is done! Optional seeds- sesame, sunflower, flax. Combine the ingredients well and let them stand for 7-8 hours. Then add one baking powder and two teaspoons of baking soda. Knead everything and add a little lemon juice. Baking pan grease with parchment of grease and bake in a preheated oven at 220 degrees for half an hour. All the ingredients combine well and knead the dough until it becomes compact. Chop the olives before adding them. Put the mixture in a baking tray smeared with oil and place the baking paper. Bake in preheated oven at 200 degrees for 20-30 minutes. This recipe is excellent, olives will be nice to refresh chrono bread, and you can eat it with some nice cheese spread or butter and have a great breakfast! 50 g of buckwheat flour. In the flour, add 3-4 tablespoons of oil, 450 ml of water, and 2 teaspoons of Himalayan salt, 2 teaspoons of baking soda, 4 teaspoons of lemon juice, if desired taste and add flax, sunflower seeds. All ingredients mix well, obtained dough wrap in a cloth and leave for about 8 hours to rest. Baking dish with bread put in the preheated oven. Bake at 220-250 degrees for 30 minutes minimum. The recipe for the wonderful chrono bread does not increase weight, but also there are some biscuits, muffins, corn bread and others. Try some of the following suggestions and treat your family members. Mix spelt, buckwheat, wheat and corn flour. Add yogurt, a little water and oil, and olive oil. Unite the ingredients into everything, then add flax, sunflower and sesame seeds, add the pieces of cheese that you love. The mixture with salt bake at 200 degrees for half an hour. Serve hot! If you like chrono bread, be sure to try the following recipe. Combine first spelt and buckwheat flour, then add water and yogurt and then the oil. Knead the dough well, then add the other ingredients. The resulting mixture put in a baking pan in which you have put baking paper, and bake in preheated oven at 220 degrees for about 15 minutes. As you can see the recipe is very similar to making chrono bread. 2 handfuls of chopped spinach. Preparation is simple, whip the egg whites and then add the egg yolks, and olive oil, and finally the flour. Add a mixture of baking soda, mineral water, salt and spinach. Mix everything good. Pour the mixture into the mould for muffins, and sprinkle with sunflower seeds or flax. Bake at 200 degrees for about 40 minutes minimum. What is the price of chrono bread? If you yourself do not have time to make unleavened chrono bread and other tasty treats, the same you can buy in better-stocked stores. You will find them in some bakeries that offer such tasty alternatives in comparison to plain and boring white bread and products made of wheat flour. One of the most popular products is just chrono mini bread from the bakery. It is unleavened integral product which we recommend with a recipe in this article. Recently, in specialized health food stores you can get famous chrono bread with the price of 2-3 dollars. This product is recommended by Dr. Ana Gifing - host of the program “chrono nutrition”. Of course, you should not overdo it and observe the basic principles and laid down the principle. Experience with all of these products are positive, there is a large number of those who tried them, and they never returned to their old unhealthy habits. Try something new and different, start the digestion and make it easy for your stomach that struggles with foods and thus improve your appearance and weight. If the recipe for chrono bread interested you, read the article entitled - Chrono diet for a flat stomach!